IT’S RELEASED – NOW AND THEN – NUMBER TEN! NOW AND THEN – NUMBER TEN is now everywhere so check it out as there are 10 NiemSongs and 6 NiemStrumentals! I already have 9 FIVE STAR REVIEWS! ITUNES – AMAZON and CDBABY are three places you can find it or order right here at my PAY PAL button!!!!!! You will LOVE this COLLECTION!!!!! I have 2 new videos at YOU TUBE folks! 12 – FIVE STAR reviews for my newest! WHEN IN DOUBT THEY’LL TAKE YOU OUT has 12 FIVE STAR reviews already at ITUNES – AMAZON and CDBABY! Download the BEST TRUTH SONG OUT TODAY FOLKS! My new song is a HIT folks! Already the 5 STAR reviews are coming in as was the case for POLITICIANS folks! Download WHEN IN DOUBT THEY’LL TAKE YOU OUT today! It is everywhere that you can download: ITUNES – AMAZON – CDBABY! 4 minutes and 17 seconds of TRUTH and you will be singing along on the first listen! When Is It Time to Tune Your Piano? JOHN’S NEWEST AND BEST 12 TRACKS EVER IS HERE FOLKS! ORDER FULL DISCLOSURE TODAY! 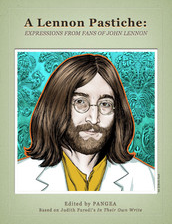 John Niems is featured in A Lennon Pastiche: A creative collection of art, music & words from fans & friends of John Lennon. ©2014 John Niems. All Rights Reserved. Website design & development by Aeon.